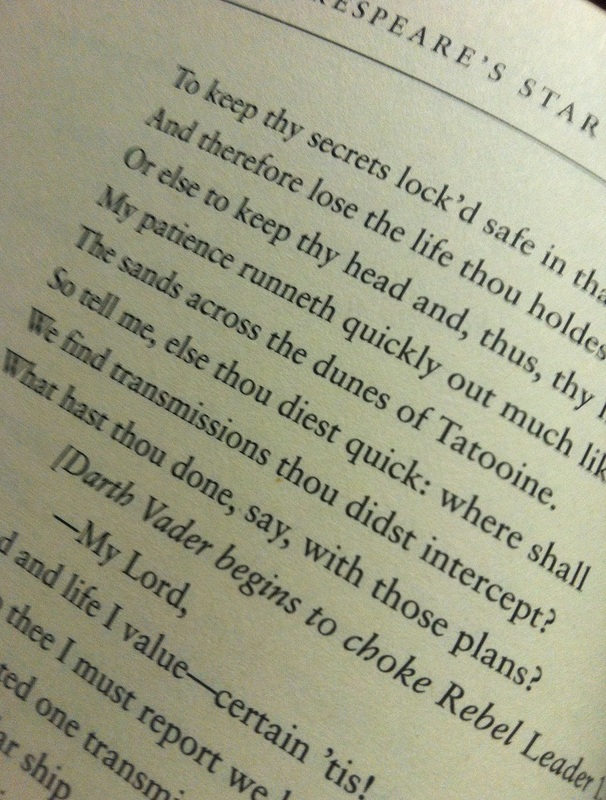 Star Wars and Shakespeare. I never would have picked these two subjects to be mashed together, but it works. 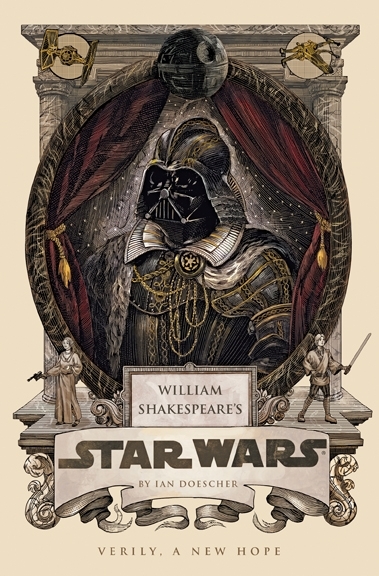 Ian Doescher's William Shakespeare's Star Wars does the unlikely and applies the beloved bard's flavor to the equally beloved space opera. I wasn't sure what to expect when I started it, but I definitely didn't think I'd be so riveted that I didn't want to put it down. The book covers the events of A New Hope, and I'm already hoping we'll see Shakespeare interpretations for more of the films in the future. The events unfold in iambic pentameter and verse from the opening crawl all the way to the destruction of the Death Star. Lest you are worried, I'm here to tell you it's not the least bit clunky. I was never able to just lose myself in Shakespeare. When I read any of his plays, I start and sputter and stop and do that over and over again and crawl through the pages at a snail's pace. I try to over-examine every word. Not this time though. Since I know the Star Wars story though, it was easy and enjoyable. Doescher doesn't take any liberties with the familiar story, but he does provide funny asides that will make you snicker. In one instance, Obi-Wan explains his "certain point of view." R2-D2 speaks in beeps and boops but has asides in our language, and he reveals how he knows everything but people assume he doesn't understand. Tidbits like that make the book endearing and funny. I literally laughed out loud in more than one place. As far as how much it sounds like Shakespeare? Well, I'm not an expert in that arena. The iambic pentameter is right, but that's as far as I can comment. I don't remember quite as many asides in Shakespeare plays I've read but honestly, it didn't affect how I felt about the story. Besides being a ton of fun for Star Wars fans, I think this could be used to introduce younger padawans to Shakespeare. It's a way to ease them in the language and tone before they're old enough for the real thing. That said, it's an enjoyable read for any age. It's charming, creative, and a wonderful way to spend an afternoon. 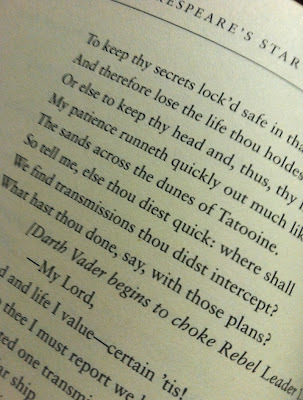 Go hither and buy William Shakespeare's Star Wars on Amazon! Disclosure: Quirk Books provided a free review copy of the book.